CHOYA SHIRT and Toyobo successfully cultivated a hybrid cotton seed from sea island cotton and pima cotton. Shirts made from this hybrid cotton known as Master Seed® had the luster and soft touch of sea island cotton while maintaining the long, strong threads of pima cotton. At the end of the 19th century, Japan’s Toyobo was the first company in Asia to incorporate industrial spinning. Today, they use the superfine Master Seed® cotton produced in their domestic factory (Inami) to create high quality materials. 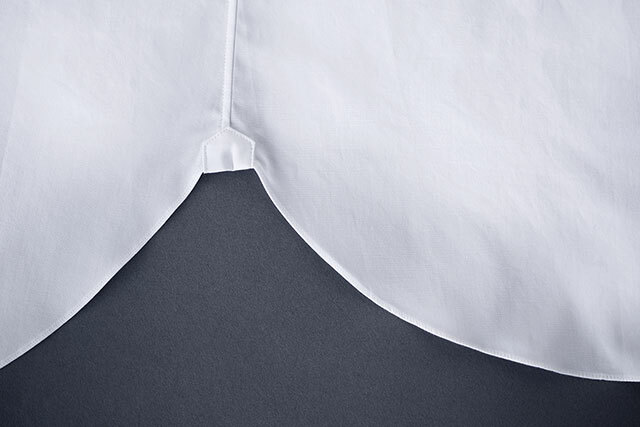 We use patterns that incorporate our original lines and high-level 3D designs using complicated curves to create a soft fabric that fits your body to create a beautiful silhouette while also allowing for extremely comfortable movement. We have “10 machine-made provisions” to create unmatched accuracy for size-specs. Coupling the strength to search for innovation with our passion creates new traditions for the next generation. Create materials from scratch, use the ultimate pattern model, incorporate logical stitching, use the newest machines with tried-and-true techniques to create a balanced sensitivity. With selflessness and keen judgement, we produce a unique piece tailor-made for each customer. Raw cotton: To make CHOYA SHIRT’s foundational principles possible, being able to grow and store strong and beautiful cotton was a necessity. In 1993, after years of collaboration, CHOYA SHIRT and Toyobo successfully cultivated a hybrid cotton seed from sea island cotton and pima cotton. Shirts made from this hybrid cotton known as Muster Seed® had the luster and soft touch of sea island cotton while maintaining the long, strong threads of pima cotton. At the end or the 19th century, Japan’s Toyobo was the first company in Asia to incorporate industrial spinning. Today, they use the superfine Muster Seed cotton produced in their domestic factory (Inami) to create high quality materials. From the end of the 19th century until now, fabrics are woven in the cotton fabric production area of Hamamatsu. With a shuttle weaving machine, fabric are slowly woven to maintain the softness of the material. To maintain the beauty of the original cotton and lush feel of the fabric, we use rotation manufacturing as often as possible. 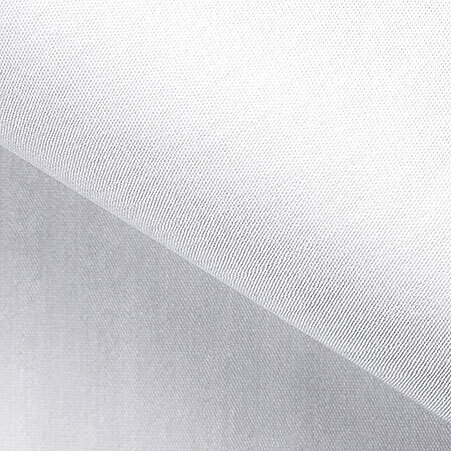 With a gentle two-stage bleaching system, we create beautiful white fabric with a soft and silky finish. By carefully examining our 130 years worth of pattern paper and using the wisdom we have gained through existing pieces and original bespoke pieces, we created our own original pattern. We use patterns that incorporate our original lines and high-level 3D designs using complicated curves to create a soft fabric that fits your body to create a beautiful silhouette while also allowing for extremely comfortable movement. In order to maximize the beauty of our 3D curved patterns, we set the sewing machine to ½ of the normal speed and sew without any pauses to create a beautiful sewing flow. 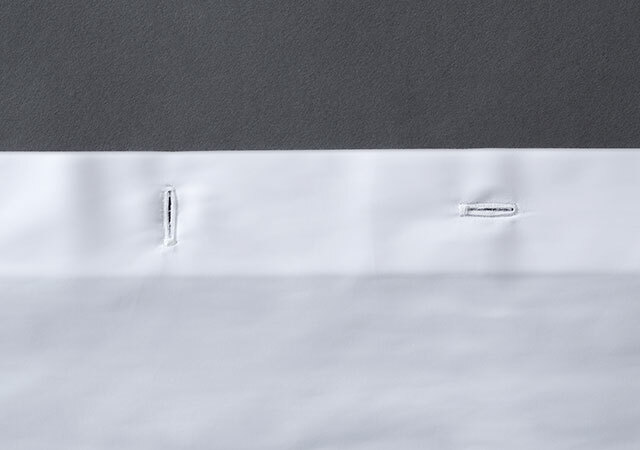 For the sides of the garment body and sleeves, we use a single needle. It not only looks beautiful, but creates a flexible texture that both is comfortable and feels nice on the skin. After sewing the garment body and sleeves separately, we sew the sleeves in through the armholes while rotating them to create a beautiful fit to the body while also allowing for a large range of motion. 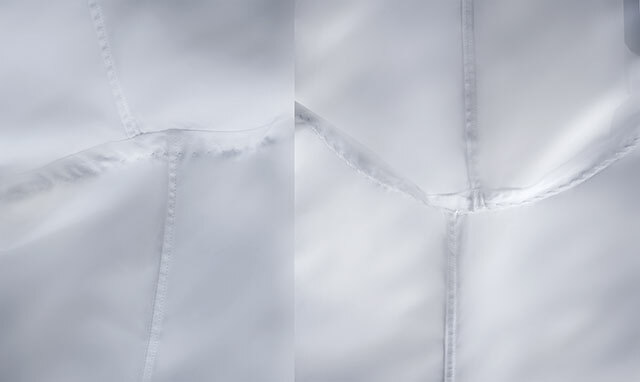 By stitching the fabric at an extremely slow speed to reduce tension, we increase strength and elasticity, allowing for completely even stitching impossible to create by hand while also being highly functional. Superfine thread count at high density. Radial curve on one side makes both a functional and beautiful button hole. 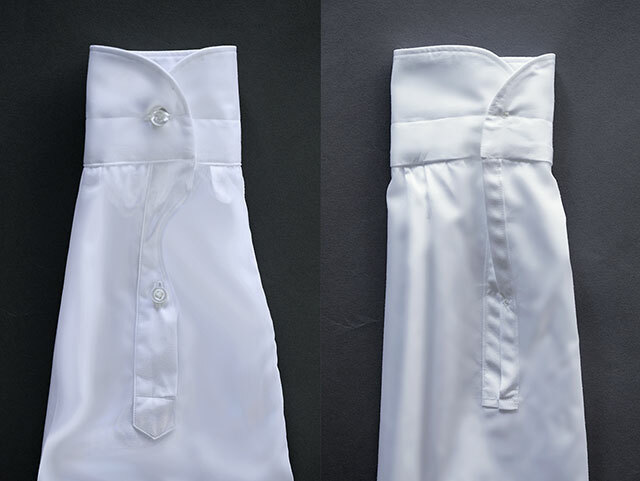 We use a neck-wrapping method for the neck, cuff and all the garment body buttons with our unique sewing machine. Returning back after sewing one edge of the fabric is a method that requires high skill and much effort. For the front shoulders and cuffs, using the run and turn method creates a flat surface that feels and looks great while also being highly durable. With a beautiful shine and smooth feel, our white-lipped pearl oyster buttons are rounded at the bottom to make for simple and stress-free buttoning.